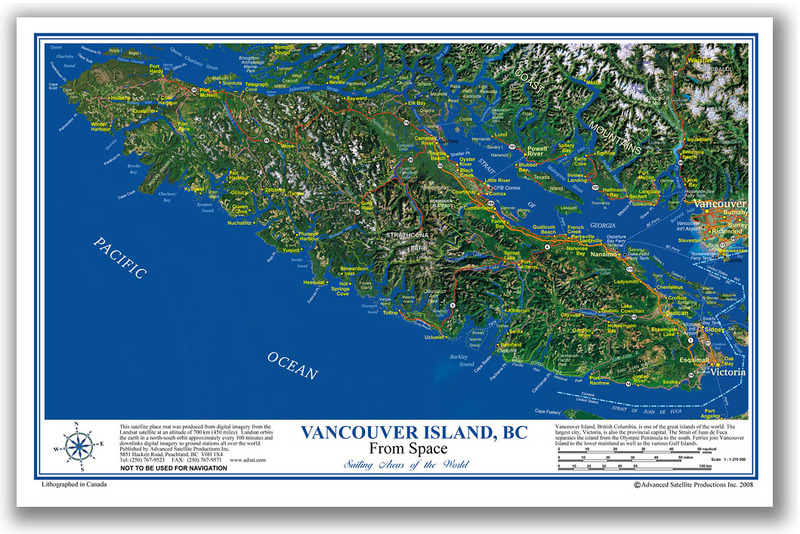 Vancouver Island shows the entire island, which is located to the west of Vancovuer, BC. Connected to the mainland by numerous ferry runs, Vancouver Island is a popular destination for tourists all over the continent. Victoria, the largest city on Vancouver Island, is known for its beauty and old-world charm. The west coast is rugged and wild, and features the internationally famous hiking experience, the West Coast Trail.